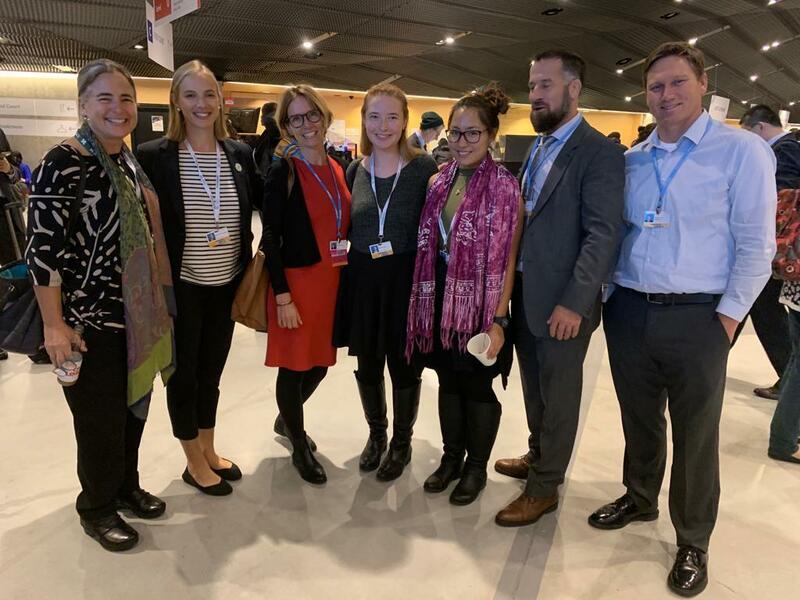 UH Law School sent its first delegation of observers to international climate negotiations in Poland. This is the 24th Conference of Parties (to the Paris Agreement), also known as COP24. From left to right: students Ryan McDermott, Tiana Winstead, Stacey Gray, Professor Denise Antolini, student Miranda Steed, and Professor Richard Wallsgrove. Homework assignments and classroom hypotheticals were no match for a front row seat to international climate negotiations. Miranda Steed at the United Nations Climate Change Conference in Katowice, Poland. 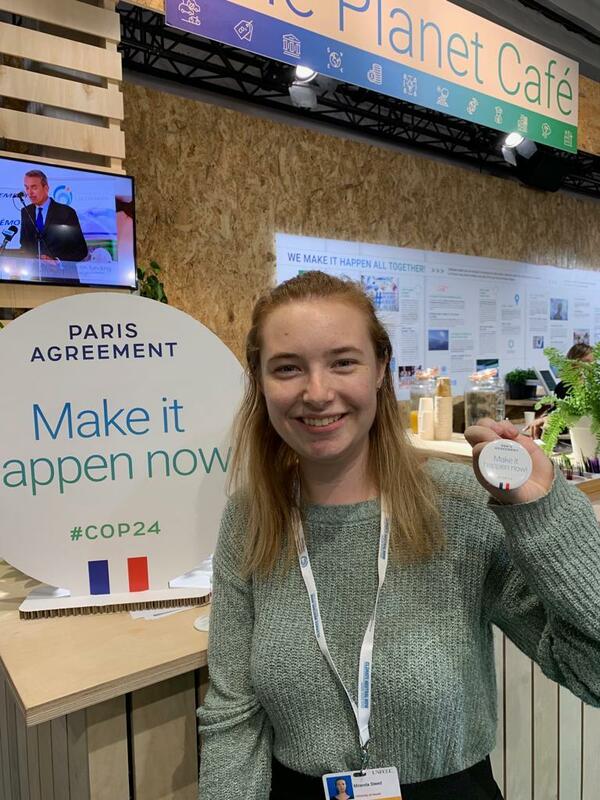 The third-year Hawai'i law student got a chance to witness international climate negotiations in person. “…that I think international environmental law is a glacial process,” says Steed. And not everyone gets their way. Steed is studying environmental policy and international law. She's part of the University's first delegation of observers to the United Nations Climate Change Conference. “Being able to engage with people across the world who are facing climate crisis at their doorstep makes a big impression,” says UH Law Professor and Associate Dean of Academic Affairs Denise Antolini, who joined students at the conference. Representing UH Law School are (From L-R): Professor Denise Antolini, student Stacey Gray, University of Oslo Law Professor Christina Voigt, student Miranda Steed, student Tiana Winstead, student Ryan McDermott, and UH Law Professor Richard Wallsgrove. Students found solidarity in a group of youth delegates representing non-governmental organizations working on climate change issues. The youth group focused their efforts on strengthening enforcement of the Paris Agreement. The main goal of the 2015 Paris Agreement is to reduce global greenhouse gas emissions to keep average global temperature rise below that 1.5 degrees Celsius target. Steed says perhaps compliance negotiations would be more fruitful off the international stage. Professor Antolini hopes to continue the University of Hawaiʻi's participation in international climate talks. As for Steed, she's eyeing a future seat at the table.